I have to say that I was skeptical. 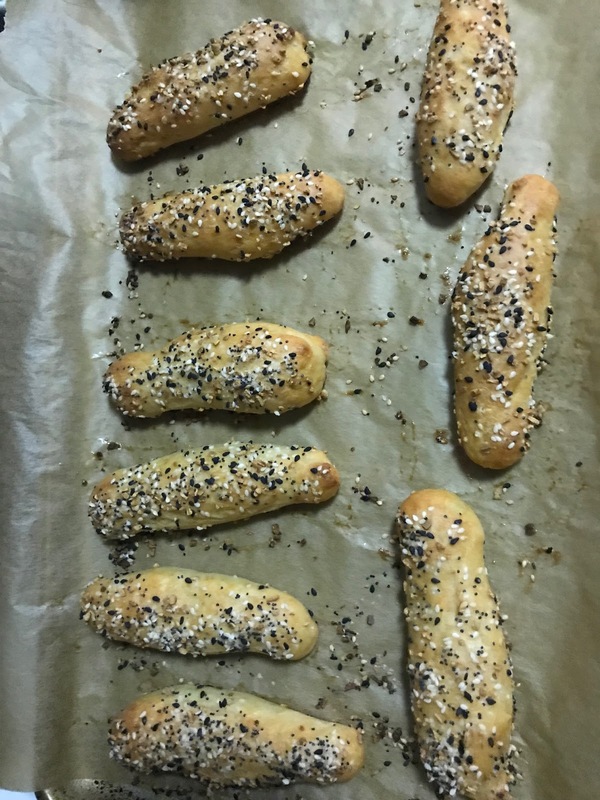 How could 1 cup of Greek yogurt and 1 cup self-rising flour turn into a dough that you can form into bagels, soft pretzels, even pizza crust? I had to try it, and the results were amazing! I've already used this dough for bagel sticks, pizza, and pigs in a blanket! I made my own self-rising flour using all-purpose flour, baking powder and salt. It's so easy to form and work with and each portion is only 3 points! You'll be a convert, too! Preheat oven to 350°F. Line a medium baking sheet with parchment paper. Whisk together all-purpose flour, baking powder and salt in a medium bowl until combined. Add the Greek yogurt. Mix until it pulls together to form a dough. Turn dough onto a floured work surface. Form into a ball. Divide into four quarter pieces. Work each piece into a rope, adding flour to your hands as needed in small amounts, and form into a bagel. 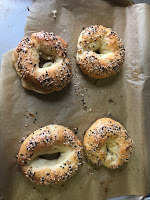 Place bagels on prepared baking sheet. 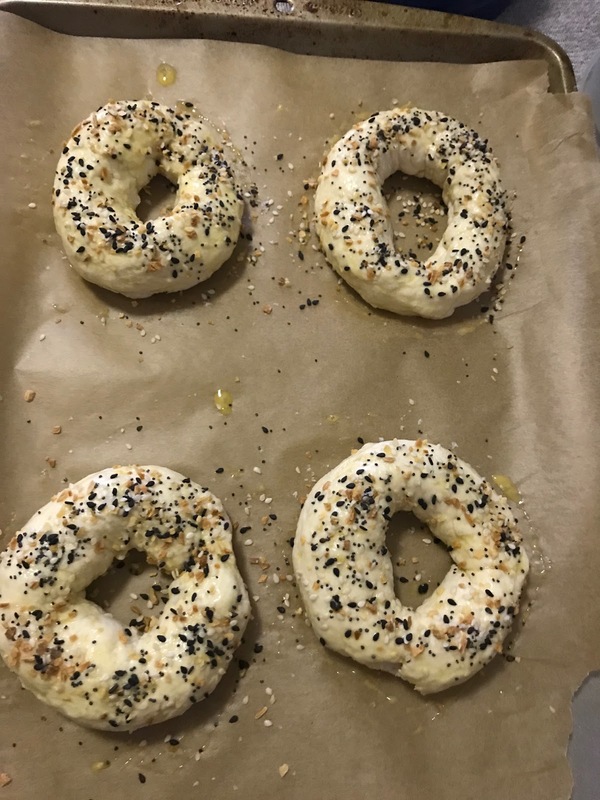 Brush each bagel with egg wash and sprinkle with seasoning. Bake at 350°F for 20 minutes. Increase the oven to 400°F and bake until bagels are browned on top, about 10 minutes longer. Let bagels cool about 10 minutes before eating. Each bagel is 3 points. Make dough as stated above. Roll each quarter piece into 3 ropes and place on prepared baking sheet. Brush with egg wash and sprinkle with seasoning. Bake at 375°F until browned, about 30 minutes.